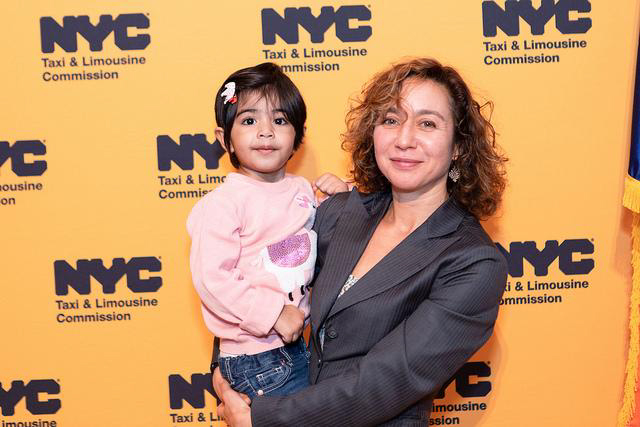 Commissioner Meera Joshi holds the daughter of a driver Honored at the TLC’s 2018 Safety Honor Roll. A 50 percent decrease in TLC vehicle-related traffic fatalities last year under Vision Zero, as well as a requirement for driver education that led to more than 110,000 drivers receiving Vision Zero training through the 24-hour course. Significant gains in data-gathering, which are a tremendous tool in smart policymaking. It is hard to believe that as recently as 2015, we only knew a small amount about For-Hire Vehicle (FHV) trips. 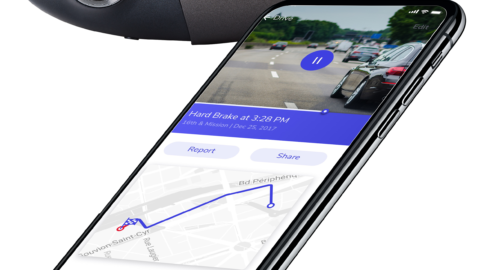 Today, New York City is the only city that regulates app services to supply date and location for pickups and dropoffs, date and time for driver log-on and log-off, passenger payment, driver payment, wait times, breadcrumb route data, and much more. Removal of outdated regulations in the taxi industry that has encouraged new innovation, such as passenger-friendly upfront pricing, GPS meters and car-sharing technology that lets drivers pick up a taxi near them, as well as licensing improvements that help drivers spend more time on the road or with their families, rather than waiting at a TLC facility. 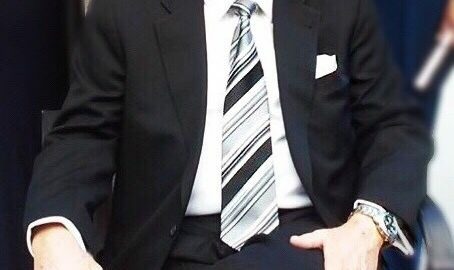 More than 2,500 wheelchair accessible taxis on the road, a new accessibility mandate in the for-hire vehicle sector, citywide Accessible Dispatch and increasing the incentives for wheelchair accessible taxi drivers to $1 per trip. Adding pay protection for ride app drivers, a regulation that has existed in the yellow taxi sector since the 90s and is the first pay floor in the country. 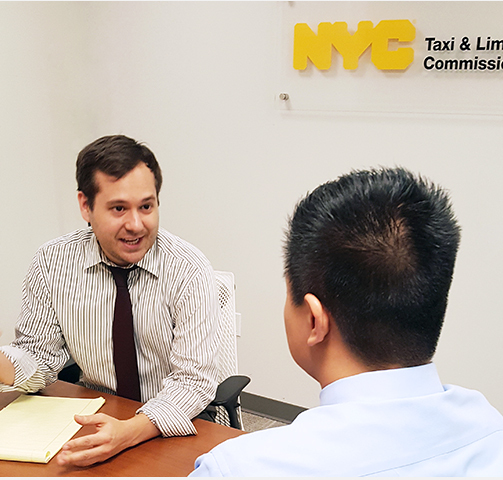 Working with the City Council to cap inaccessible for-hire vehicles for one-year, while the TLC and DOT study how best to regulate app-based services to reduce congestion going forward, as well as the impact of setting minimum passenger fees for these services. Thanks to a skilled and principled TLC staff, a Commission dedicated to doing the right thing and engaged industry members and advocates, through public debate and data we increased accountability, safety, access, modernized taxi regulation, protected drivers and increased consumer protections. 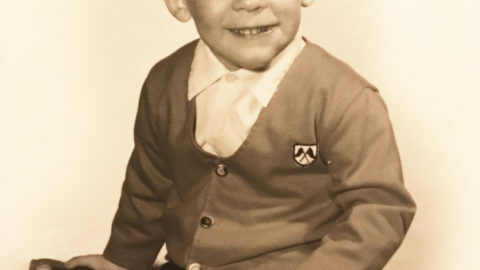 I am deeply grateful to the TLC community that made this possible. As gratified as we are about these accomplishments, the eight suicides of our licensees across different industries in 2017 and 2018 overshadow all that we do. And while the circumstances and factors for each were different in ways that we will never know, collectively they illustrate the economic despair that drivers are grappling with. For FHV drivers, recently enacted increases in pay and limits on the number of vehicles represent hope. For the medallion taxi industry, continued advocacy with banks and lawmakers is the best path to much needed medallion loan reduction and restructuring. And for the green taxi industry, the new income stream from MTA’s Access-a-Ride program has reenergized the sector while providing better service for Access-A-Ride passengers. It is essential the City continue this important work addressing industry challenges. Also, looking forward, it will be the TLC’s continuing role to do more to help drivers access benefits and formulate a regulatory framework for the app services that effectively addresses the congestion threatening the city’s well-being. These initiatives are pioneering and must be approached with the same level of scrutiny and comprehensiveness that has become the TLC’s hallmark. This month signals the beginning of a new pay standard for high-volume FHV drivers, following years of hard work and rigorous analysis, as well as advocacy from driver groups. 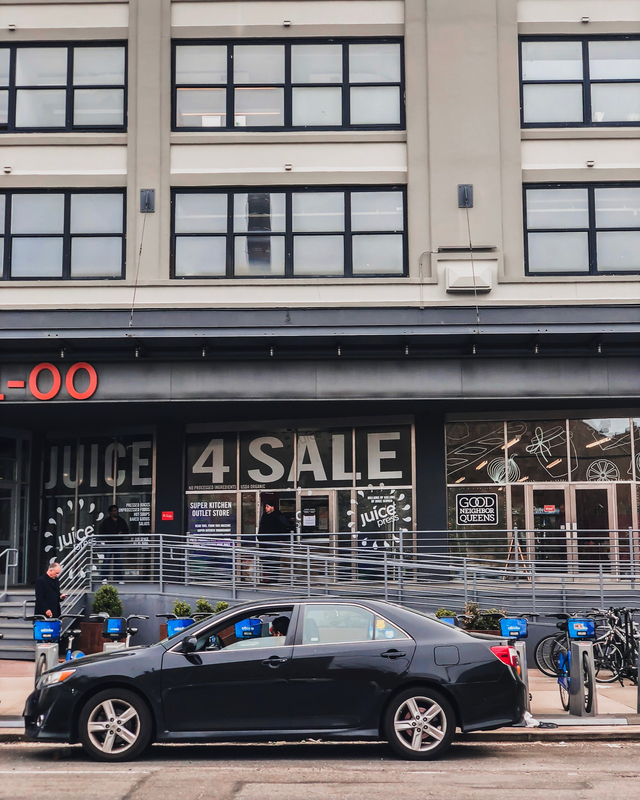 Beginning on February 1, 2019 all High-Volume FHV services (Uber, Lyft, Via, and Gett/Juno) must meet the pay standard approved by the TLC’s Board of Commissioners this past December. Among its provisions, these high-volume bases must provide all drivers with receipts that show their payments and deductions, and drivers who lease their vehicles must receive written agreements in plain language, as well as receipts that show any deductions or charges. Pay regulation has existed in the taxi industry since the 90s, and establishing it in this mammoth segment of the FHV sector will bring much-needed financial stability to almost 80,000 drivers – as well as injecting about $600 million a year into the city’s local economy. A new trip pay standard for drivers in high-volume FHV companies will begin February 1, 2019. If you have any questions about the new driver pay standard or want to use our easy-to-use calculator to verify how much you will make, please visit nyc.gov/driverpay for a variety of resources. 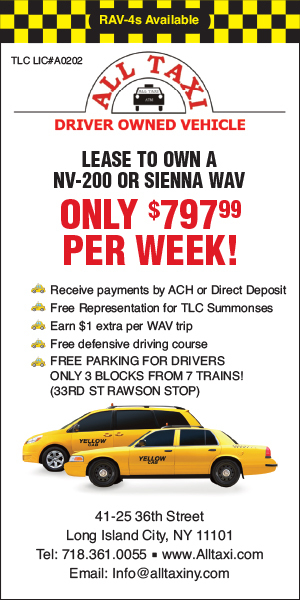 You can also email any questions to driverpay@tlc.nyc.gov. We are also pleased to highlight that, also as of February 1, the maximum taxi credit card surcharge will drop to $7 daily, and $59 weekly. 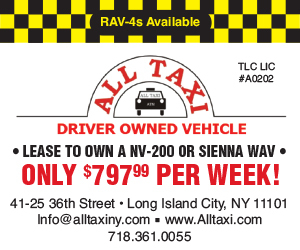 We anticipate this will save full-time fleet taxi drivers $1,000 per year. As gratified as we were to be able to establish pay regulations in the for-hire vehicle sector last year and make important gains in Vision Zero and accessibility, the eight suicides of our licensees across different industries in 2017 and 2018 overshadow all that we do. And while the circumstances and factors for each were different in ways that we will never know, collectively they illustrative the despair that drivers are grappling with. I want to highlight the important work that our Driver Protection Unit has done to advocate for drivers and connect them with services, and urge you to spread the word to anyone you think might benefit from its services. The unit investigates complaints from TLC-licensed drivers against other licensees (including fleet agents) for illegal conduct, including identity theft, overcharging on leases or vehicle purchases, or not returning security deposits. It works across all the industry segments we regulate and license, and their efforts have helped drivers recoup more than $3.2 million in restitution. The Driver Protection Unit also works actively with other City agencies to make resources available to those going through financial hardship, or experiencing other serious challenges in their lives. It has partnered with the Office of Financial Empowerment, providing drivers with access to experts who can help them explore their financial options.